Fifa World Cup is on in South Africa this year. 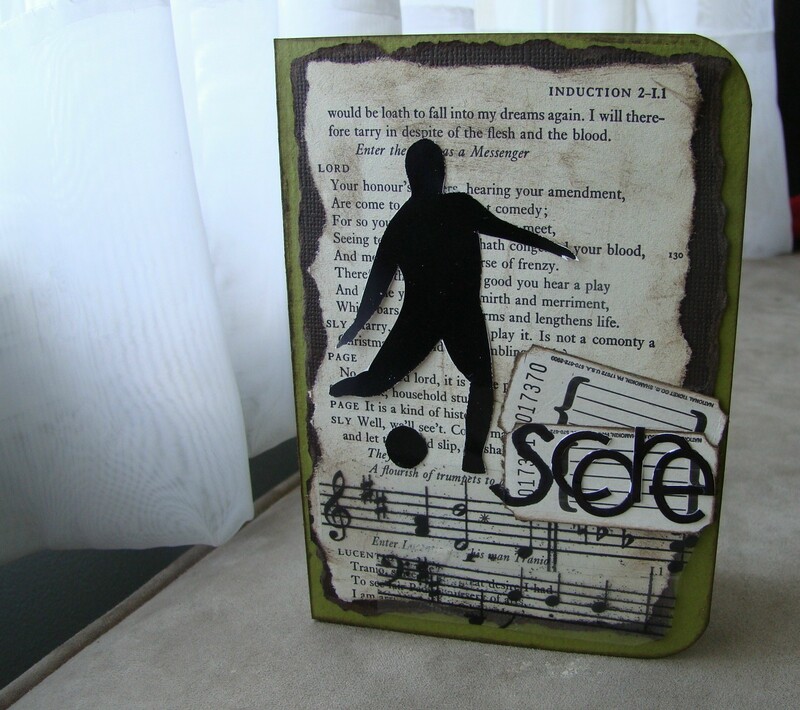 So for all those soccer or football (as the rest of the world calls it :)) fans, here is a soccer related Father's Day Card. The silhouette image is a free dingbat that I printed onto photo paper to give it a smooth look. I just love how this project turned out. It was a simple, quick, and kid friendly project that looks great in the end. 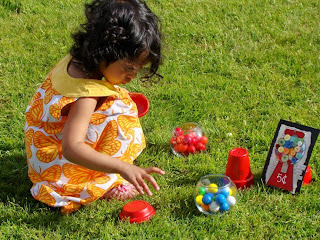 The gumball machine craft used a clay pot and saucer which we painted red. The bowl was found in the candle isle at Michaels and I used my glue gun to put it all together. The matching card was made by piercing together the hand drawn base, and punching some circles out of scrap pp for the gum balls. I added a bunch of buttons on top just for fun. The silver bits were just inked with Champagne coloured ink. 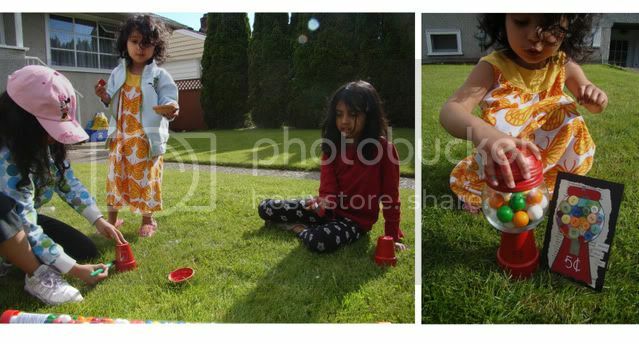 It was a lovely evening to be outside in the backyard, having fun with paints and bubblegum. Love that she needed to organize and colour sort the gumballs! Very creative cards. The gumball card is SO cute, and I love the project too. That's so cute Sarah is organizing the gumballs. You could say it's a development/discovery thing...but I think it may be more of a "Thind" thing. lol! 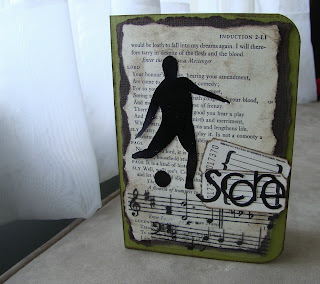 what a wonderful soccer themed card! 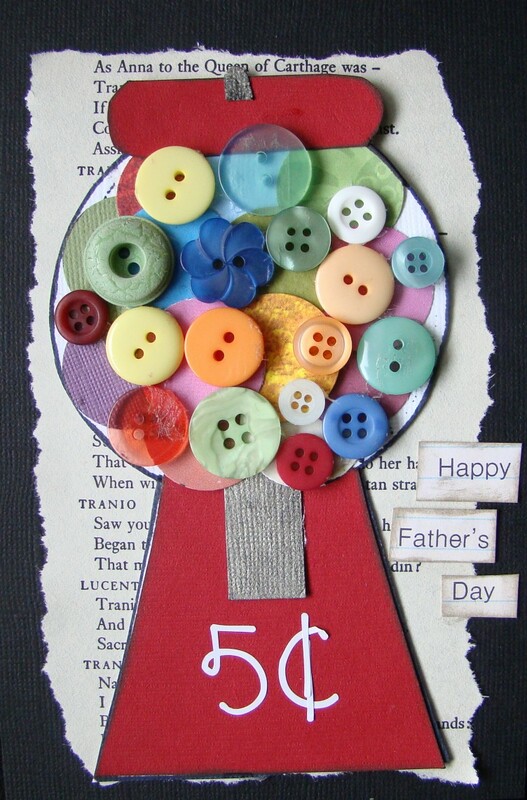 so creative and so is the adorable gumball machine!! !